There two command blocks staying one side of the elevator, and the upper one is for floating effect. -direct @ r=1, type=player 25 5015, then you copy the code. "x", "y", "z" refers to the three dimensional location of players, only at the location can players obtain potion effect; if you haven't added location by yourself, then the practical location is that of the command block. "r=1" refers to the site that is one block away from yourself, similarly, r=100 means the site that is 100 block far away. "type=player" means only players are allowed to get floating effect, similarly, "type=Pig" means only pig is allowed to get the effect. "levitation" is the NBT of floating effect, that number is alterable, and "20" means the floating effect lasts for 20 seconds while "10" means the degree of floating rate. different degrees present different effect, some specific degrees even shows particular effect. This is the top of the elevator, which is a piston door. Two command blocks are next to the door on top of elevator. 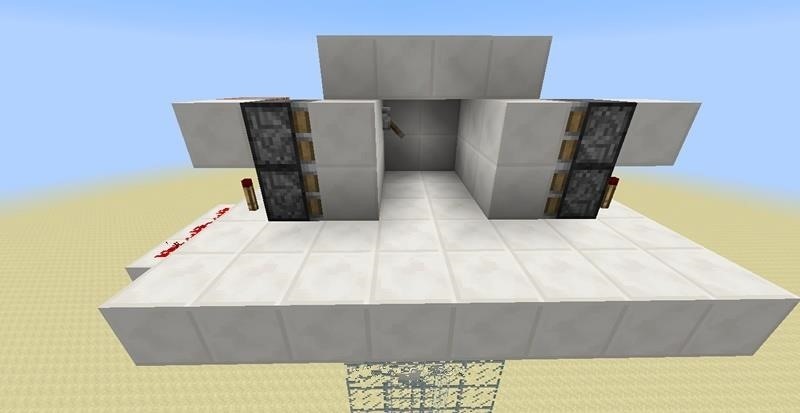 The other command block is to remove floating effect: /effect @ar=5 clear, when players are lifted to top, the command block is activated by turning on the switch of elevator. Floating effect is removed and door opens. As the picture shows, press the upper button, players begin to float while the button below is to remove floating effect and open the door. If players want to return to ground, they should get inside elevator and turn off switch. 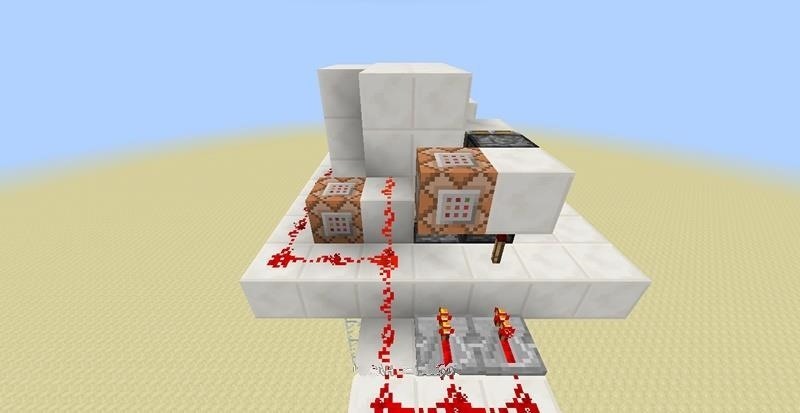 With top door closing and exit at the button of elevator opening, another command block is activated: effect @er=1,type=Player 25 50 450 true, so that players slowing fall down to ground but won't fall to death. This tutorial is about making and using elevator with new command blocks in Minecraft 1.9. 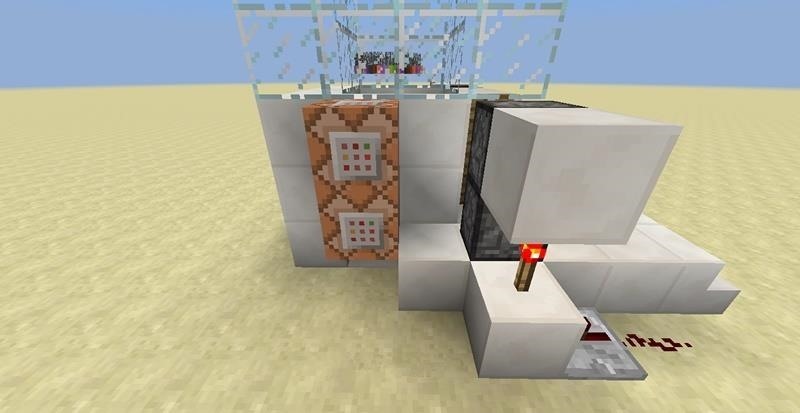 Minecraft 1.9 command blocks include impulse, repeating chain. Kudo and comment and I will submit more! hey could you maybe post something about making an elevator using just pistons? I use the ps3 console version to play and do stuff with redstone. My brother came up with a way to do that but it isn't very reliable. We both made a working tnt elevator that doesn't harm you, but that only works for a limited time depending on how many materials you have and its a pain to reload it every time it runs out of tnt.